January 15 - Steele open 10am-6pm; branches closed. New Year, New You - Join us for a series of fitness classes at the library over the next few months! In January and February we will be offering six Saturday morning classes (1/6, 1/13, 1/20, 2/10, 2/17, 2/24, 9:30-10:30am), with the ladies from Ultimate Fit Chick. Our popular Tai Chi series with Julie Spicer will resume for 4 weeks on Monday, January 22nd from 4:30-5:45. Finally, in March, we will be offering a series of Saturday morning Yoga classes (3/3, 3/10, 3/17, 3/24, 9:30-10:30am) with instructor Danyell Peris. We hope to see you there! See the schedule below for January details and be sure to check our online calendar for future classes. January 25, 6:30pm - Hometown Art - "Lovely Labels"
New Programs: “Talking Through Walls”, a teen requested & teen led program where teens can discuss controversial topics, current events, or other subjects weighing on their minds. This will be a safe space to hear other teens’ views, demonstrate respect, and cultivate an open mind. Snacks, too! Monday Manga & Anime: back by popular demand! Led by Teen Advisory Group members. Watch anime, create artwork, and eat Japanese snacks! Come play at the library with toys and friends! Children ages 0-5 and their caregivers can join us for unstructured play and casual reading in a warm social environment. Thursday mornings at 10:30 in the story room at Steele, let your children play and you can enjoy a cup of tea or coffee and adult conversation. 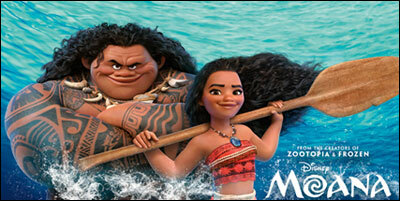 On Friday, January 26th enjoy a Luau in winter! We will have games and crafts and watch the movie Moana! January 29, 5:30pm - International Puzzle Day: craft your own puzzle, all ages welcome. It’s another Movie and Popcorn night for family fun! On Tuesday, January 9th, from 6-7:30 p.m. the Big Flats Library will proudly view Despicable Me 3. That’s right...the MINIONS ARE BACK!!! As always, popcorn will be served. The best movies and the best popcorn are at the Big Flats Library. We are having a Wine and Design (minus the wine of course) on Monday, January 22 from 6:00 - 8:30 p.m. If you have always wanted to try painting a great picture in a fun atmosphere, this is your opportunity. 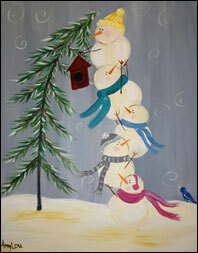 The picture that we will be painting is "Helping Snowmen" (pictured). The teachers that come and teach this class are awesome and walk you through the process step by step. This class normally costs $35.00, but you will only pay $20.00 on this one night at the library. This is a pre-register class and only 15 people can attend. Call now to reserve your spot at 562-3300. Our book club meets the 2nd Friday of the month at the Bulkhead stop in Southport at 1:30pm. For the month of December we read "Good as Gone" by Amy Gentry; the book discussion will be January 12th. In January, we will read "I let you go" by Clare Mackintosh, to discuss on February 9th. In January at Horseheads, we welcome Shari Koval, local author and animal communicator. She will present a seminar on what animal communication is and how to understand your animal friends better. She will have her signed book "Hounds, Horses and Hearts - Working Animals Tell Their Stories" available for purchase. Registration is required. Call 739-4581 to register. Also, Tablet Talk is back! Sign up to learn all about your tablet or smartphone! Registration is required for all programs. Enjoy the first movie of our '80s Movie Night series: Ferris Bueller’s Day Off (PG-13)! The movie follows a high school slacker as he plays hookie and skips a day of school. It was one of the top grossing films of 1986. No registration required, so feel free to stop by and bring your friends! Water and popcorn will be served. January 8, 5:30pm - '80s Movie Night - "Ferris Bueller’s Day Off"
Lego club returns in January! Celebrate Puzzle Day! Come in & enjoy some hot cocoa and cookies, and put some puzzles together! (All ages). Also, learn and train how to be a Ninja! Don’t forget Kitty Lit Reading Program - Cats love company! Come to the library and read stories to the kitties! Practice your reading and make the kitties happy! Open to students in grade 1 through 6. Registration is required! Space is limited! Call 739-4581 to register. Wednesdays in January, stop by the Van Etten Library and make a snow globe! All ages welcome. Enjoy a warm cup of hot cocoa while you design your snow globe! January 17, 4:00-6:00 - Fidelis Care: Open Enrollment; A Fidelis Care representative will be on site to assist with health care coverage questions and enrollment. January 29, 3:00-5:00 - PUZZLE Day at the Library; puzzle challenges and mini puzzle fun. February 2, 3:30-4:30 - Celebrate Ground Hog Day at the library with some fun children’s activities, trivia challenges & snacks! We are looking for donations of board games to jumpstart our Board Game exchange. Due to the popularity of the Puzzle Exchange, we would like to offer a variety of different games, for all ages, to our patrons so they can take them home and enjoy their own game night! Stop in and check out our new Video Game collection! Third Wednesday of every month, 3:30pm - Tween Maker Hour - Make your own buttons! Check the district events calendar for more gaming events with Rainy Toad this month!